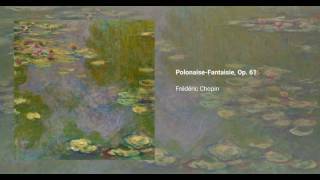 The Polonaise Fantasie in A flat major, Op. 61, is a piece for solo piano written by Frédéric Chopin. It was published in 1846 with dedication to Madame A. Veyret. Its complex form, the fact that it displays characteristics of both a fantasie and a polonaise, its advanced harmonic development and technical level, made it a piece that was slow in gaining favour from pianists.